When valuing a business it often feels like we are providing an education in how to sell a business and ensuring the benefits that have been gained over the years are not lost in excessive taxation or poor planning. I feel that this is partly the fault of the business broker community but also the fact that several professional services need to come together to provide the expert advice necessary to produce a successful and profitable exit from a business. As a business broker, we will be confident of putting buyers in front of you as our marketing works. However, before we go to market it’s important you have consulted and discussed your options with quite a few people. We can help this process or you may have your own contacts. 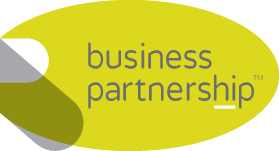 Business exit specialist – Part of the offering from Business Partnership is a free report on how sellable your business is. It will identify keys areas to improve and help gain a higher asking price. Financial Advisor – Often a business is going to be a very important part of your life. The benefits of planning pension contributions and structuring your exit over time could prove very beneficial and tax efficient. They will also be able to help you invest your proceeds. Accountant – It’s always good to keep your accountant in the loop as they can be a useful source of information and you’ll no doubt get some questions which they can help with. Keep them on board! Solicitor – A friendly and professional solicitor is always helpful and as long as they are competitive and prepared to get the work done in a timely manner. There could be larger family matters they can help you with such as inheritance planning. Commercial Agent – If the business owns the building you operate from then it would be good to get a commercial valuation in writing for a buyer to view. If you are not including the building in the sale then revert to your solicitor on how to extract the building but the commercial agent will also be able to help value and draw up a lease for the incoming buyer. Financial Planning – This is often overlooked but checking how the influx of the sale proceeds into your finances can affect your future income and investments may mean you can retire early. It might also allow you to consider different payment plans. Family and friends – As long as you trust them to be confidential in what you are discussing then it’s always good to get a few different opinions. The overriding piece of advice would be that you need to plan your exit and not rush into things. IT can take a few years to prepare a business for sale. Why not talk to us early in the process as we’ll be able to help you put a plan together and maximise your return! Previous Post An overnight success? Not always… Next Post Selling A Business? Just Do The Job Properly!